We value the relationships we have developed with like-minded families as a result of our involvement at PCA. 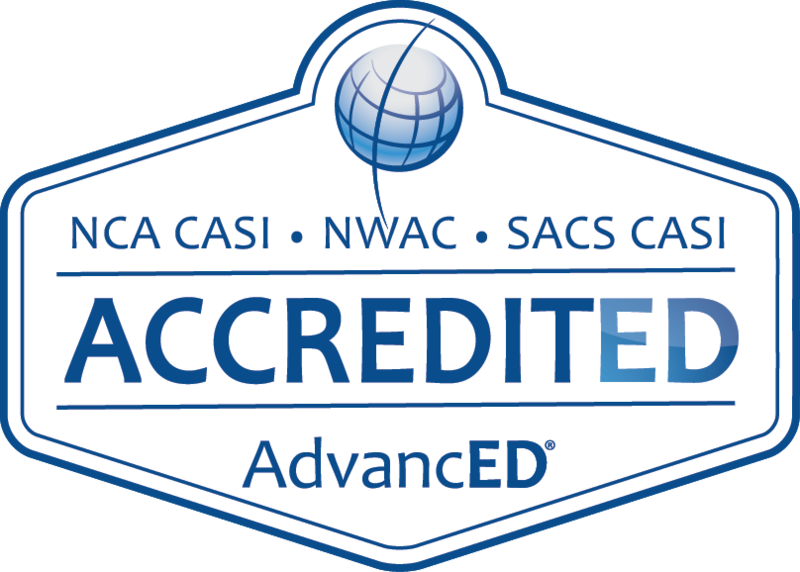 We, Prestonwood Christian Academy, are delighted to be recognized as an institution that does school differently. In Matthew 10:16, Jesus sent His disciples into the world with the statement, “I am sending you out like sheep among wolves. Therefore be shrewd as snakes and innocent as doves.” We believe Jesus’ command in Matthew was charging us to maintain a discerning attitude when dealing with circumstances we face in the world, and we strive to teach our students in a similar manner. To best equip our students for the world outside of their Christian home, PCA believes a strong partnership between the home, school and church, the basis for Kingdom education, is the foundation for educating the whole child. It is this partnership, working in synergy, that allows a student to fully develop into all that God has planned for them. It is PCA's desire that through a Christian, Liberal Arts education, students "grow in wisdom, stature and favor with both God and man." Our fully biblically integrated curriculum, staff and student relationships and our Portrait of a Graduate all make Prestonwood Christian Academy an academy of distinction. Princeton, Harvard, Yale, University of Pennsylvania and Columbia. Belmont University, Colgate University, Colorado School of Mines, Duke University, Emory University, Hillsdale College, Marquette University, Tulane University, Vanderbilt University, Rhodes College, Rice University, Wheaton College, University of Southern California, Wake Forest and Washington University. Baylor University, Oklahoma State University, Texas A&M University, Texas Tech University, University of Kansas, University of Missouri, University of Oklahoma, Texas Christian University, The University of Texas at Austin and Southern Methodist University. PCA is founded on the philosophy of Kingdom education, which focuses on the partnership between the home, school and church. This philosophy sets PCA apart as a biblical worldview training model for the next generation. PCA provides balance for the student and the family along with academic rigor. Following the example of Jesus and His twelve disciples, PCA is taking steps to increase small group training opportunities in every grade level. Lower School students benefit from programs designed to meet their needs and have dedicated small group discipleship and weekly Bible study. Students in grades 5-6 have small group opportunities throughout the year. Students in grades 7-12 have Advisory Groups during weekly chapel. Tuition assistance is based on qualified needs determined by a 3rd party source and is distributed as available from year to year. In any given year, almost one-third of PCA students receive tuition assistance with an average grant of over $6,000. PCA’s art students compete each year in ACSI, VASE, Scholastic and Congressional art festivals, gaining valuable experience and national exposure as well as excellent scholarship opportunities. PCA has garnered many awards from these competitions. PCA Band starts in the Middle School with strong student participation, then expands in the Upper School to include the Concert Band and the PCA PRIDE Pep Band, which performs at varsity games and pep rallies. Honor Choir is an opportunity for Lower School and Middle School students to participate in an elite auditioned ensemble. Honor Choir performs regularly throughout North Texas and annually at the ACSI Choir Festival, where it routinely receives "Superior" ratings. Our award winning program includes many performance opportunities including two extra-curricular Upper School main stage productions (a play in the fall and a musical in the spring), an ITS Musical Revue Show, an Eighth Grade one-act play for competition, student directed one-act plays, and numerous other opportunities for students to perform their curricular work in a public forum for family and friends. Students who participate in the International Thespian Society at Prestonwood Christian Academy have also received college scholarships and recruitment from many colleges, universities, conservatories and art schools across the country such as Southern Methodist University, Ouachita Baptist University, Savannah College of Art and Design, Boston Conservatory, Baylor University, Liberty University, Texas Christian University, University of North Texas and Belmont University. PCA's Chapter has won national championships at the ITS International Festival in Lincoln, NE. The “group musical” entry has been selected as one of nine entries from out of hundreds to be featured in a final night showcase of champions multiple times. Over 2/3 of PCA 7th grade students qualify annually for the Duke Talent Search Program. The Collins Thinking and Writing Program helps teachers and students use common vocabulary as well as set levels of expectations on writing across the curriculum and writing in every course, whether it is Music, Science or English. The by-product is to develop good communication skills while emphasizing higher order thinking processes. We reach many types of learners. PCA offers a Learning Lab program for those with learning differences. We start ability grouping in Math and Reading in 4th grade through 8th. In 9th -12th grade, on-level, honors/PreAP and AP classes are offered. In addition teachers use a variety of teaching strategies to differentiate content for all learners. PCA Upper School students have an 86 percent Advanced Placement exam pass rate versus the national average of 56 percent. Advanced Placement classes are nationally-recognized, college-level courses. Highly qualified Upper School students gain college credit and recognition in the college admission process when they pass each AP course exam. PCA offers fifteen AP courses throughout subjects. PCA's Class of 2017 was offered more than $10 million and the Class of 2016 was offered $14.5 million in scholarships for achievement in scholastics, athletics and the arts. PCA has had 15 National Merit Finalists, 17 National Merit Semifinalists, and 61 National Merit Commended students. PCA is continuing to train teachers on how to integrate higher order thinking skills throughout the curriculum. One means is through Socratic Seminars where students learn to clearly express their opinions with supporting evidence from a text; to question or defend the accuracy of what they read; to challenge the ideas of the author by noting bias, distortion or lack of information; to contrast the accuracy of one text with other sources to form defensible critiques; and to make solid judgments about a text derived from interpretation and inferential information. The Truths of God’s Holy Word are woven into every class at every level at PCA, not just in chapel and Bible class. All subjects reveal something about God, creation, mankind, moral order and purpose. PCA examines the truths of these big ideas through biblical integration. There are developmentally appropriate chapels in each division: Lower School, Middle School and Upper School. Chapel includes a time of worship and a speaker which is followed by a small group advisory time. During this advisory time, students are instructed in ways to study God's Word. PCA puts an emphasis on character training, the PCA Code of Honor, respect and servant leadership. Students in pre-kindergarten through 12th grade are taught an intentional Bible study method in order that they may learn to use God's Word to develop personal character. Students in the Lower School, Middle School and Upper School are involved in mission trips and service projects. Upper School students are required to obtain 1 mission credit for graduation. PCA offers mission and service opportunities each March for 7th-12th grade students through its minimester program. PreK through 6th grade adopt mission trips to support through prayer and supplies. The mission connection culminates in a World Impact All School Worship. PCA offers a range of athletic opportunities for students in grades 6-12. Currently, the Lions compete in 16 interscholastic sports and have a total of 52 varsity and sub-varsity teams. PCA has more than 25 athletes competing at the college level in numerous athletic programs across the country, while two alumni are playing in Major League Baseball, one in the National Basketball Association, one in the National Football League and one plays Major League Soccer.